Wednesday, September 6, 1837.Springfield, IL. 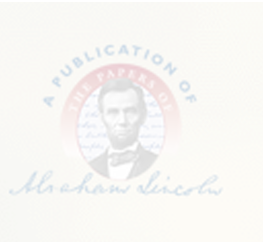 Lincoln replies to James Adams' statement published in "Illinois Republican." He points out discrepancies in Adams' story. He says Adams' assertion that he has disproved charges of "Sampson's Ghost" and a bogus assignment in Wright et al. v. Adams, "is all as false as hell, as all this community must know. "Sangamo Journal, 9 September 1837; First Reply to James Adams, 6 September 1837, CW, 1:95-100.